This is the Birth Certificate of Alice Janetta Musgrove, second daughter of George and Emily. The Certificate shows that George in 1878 is still a money lender and that the family were living at Hatfield Essex. Unfortunately we have no pricise address in Hafield Peverel of where the family lived. They appear in no directories and are not listed on the Electoral Register. There is no Baptism record either as none of George and Emily's children were christened. 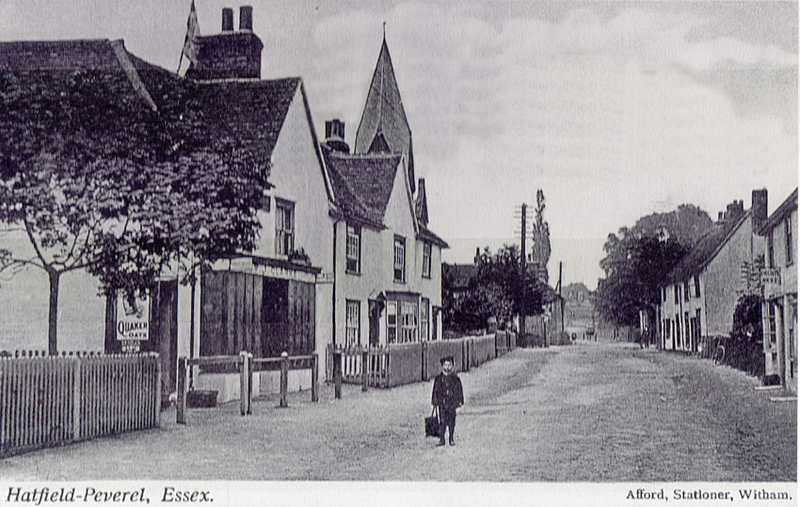 The delightful photo below shows the main road in the Village circa 1910. It would almost certainly have not changed since the Musgroves lived in the area.